Install instructions for ZIP: Extract files. Run Setup.exe. 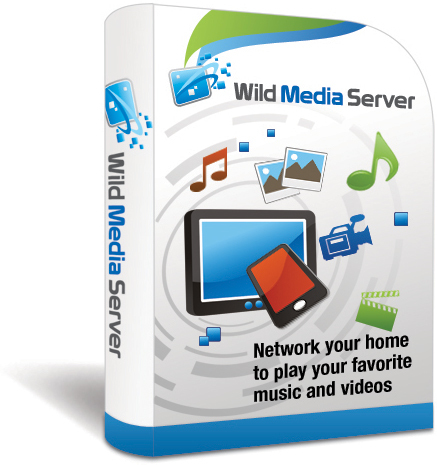 Wild Media Server (UPnP, DLNA, HTTP) does not collect and transfer any information about your computers, your files, your devices outside your home network. Device registration does not require Internet connection. You can use a purchased license on any computer and supported operation system. The trial mode expires after 15 days. You can use the distribution kit for upgrade from any version of program (no need uninstall and reordering).